A new guide which has been published by the Community Security Trust and co-authored by the Crown Prosecution Service, Tell MAMA and the Department of Communities and Local Government, provides guidance and advice for victims and witnesses of hate crimes. It highlights the processes and procedures for reporting in hate crimes and outlines the routes by which statutory bodies such as the police and Crown Prosecution Service work with victims. It is a guide which ensures that the rights of victims are protected and maintained. Though the guide has a focus on anti-Muslim hatred and antisemitism, its advice can, and should, be used by anybody who has suffered any kind of hate crime, which can occur due to race, religion, sexuality, age, disability, gender or any other characteristic. Tell MAMA, the CST and many other agencies have repeatedly stated, that as levels of reported hate crime continues to grow in the UK, collaborative efforts to educate and inform those affected by it are increasingly important. 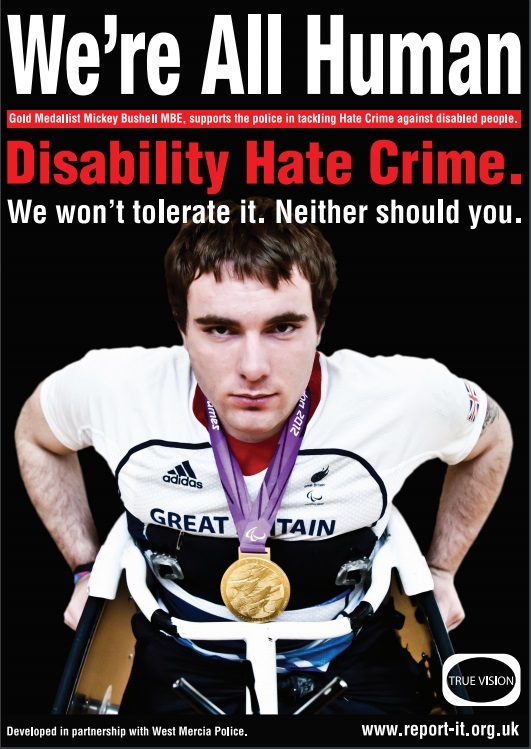 Hate crime against any community is entirely unacceptable. Everyone in this country has a right to live without fear of abuse or attack and we must, as a nation, firmly condemn hate crimes and all other forms of bigotry. It is vital that victims have the confidence to report crimes to the Police. This Government is committed to making sure that those who perpetuate hate are subject to the full force of the law – but we cannot do this alone. This guide is an example of how we can work together to stamp out hate crime and support victims in bringing their cases forward so that justice can be served. We have seen a rise over the last five years in the reporting of anti-Muslim hatred. Tell MAMA has been at the vanguard of supporting victims of anti-Muslim hatred, whilst collecting evidence and mapping, monitoring and measuring incidents across the United Kingdom. Through partnership work in the production of materials such as this guide, we hope that we can collectively make it easier for people to report, take charge and feel confident when they report hate incidents. We stand together with other communities in working to counter hatred, intolerance and bigotry. Despite our best efforts to combat all forms of hate crime and hate incidents, levels of antisemitism and anti-Muslim hatred in the UK are unfortunately on the rise. CST works hard to protect, support and inform victims of antisemitism. This collaborative guide will be an important tool for all those affected by hate crime in understanding their rights, and how to navigate the complicated criminal justice system. We want communities and individuals to have the confidence to come forward and report these offences, no matter how minor they may appear. This guide is an important way of ensuring that victims can make informed decisions about the most appropriate course of action, taking account of their particular personal circumstances. Hate crime divides communities and the CPS has an absolute commitment to bring perpetrators to justice and support victims and witnessed through the criminal justice system.